The vast majority of red drum caught in South Carolina aren't kept for coolers. 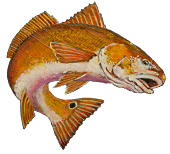 Of the estimated 560,000 red drum hooked by anglers each year, 80% are released. But even under ideal conditions, studies* estimate that about 10% of caught-and-released fish die. Today we're sharing our picks for the ideal rigs to use for adult red drum (aka bull reds) in particular. These set-ups are designed to minimize the chance of gut-hooking these large fish, giving them a better shot at surviving their encounters with anglers. 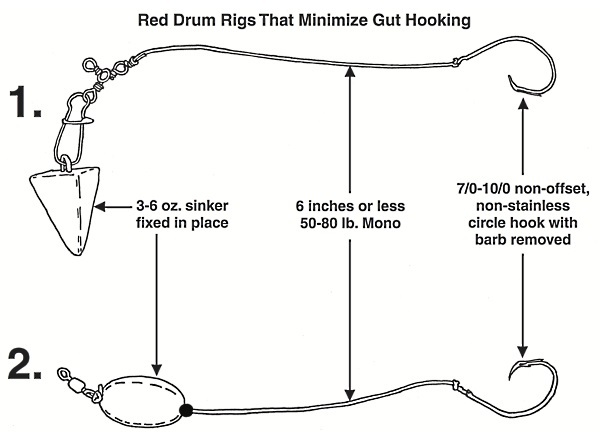 The older and larger a fish is, the more it can contribute to the next generation of red drum – so if you target adult red drum, it's worth taking the time to use the right rig. * For more information on circle hooks, the results of this scientific study demonstrate the effectiveness of this hook style in catch and release fishing.